Construction set toys to the children like the feeling like construction workers, and the cool toys for boys have a crane, it contains a construction workers, and signs and fences. Encourages creativity and the development of fine motor skills and coordination as children stack their blocks to create buildings. Construction vehicle toy stimulates children through every stage of development and help nurture and develop their natural abilities. Looking for ideal Construction Set Toys Manufacturer & supplier ? We have a wide selection at great prices to help you get creative. 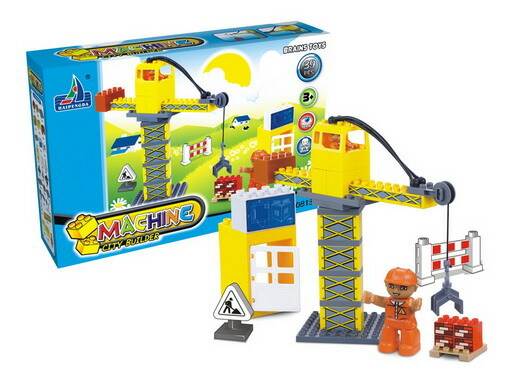 All the Construction Vehicle Toy are quality guaranteed. We are China Origin Factory of Cool Toys for Boys. If you have any question, please feel free to contact us.